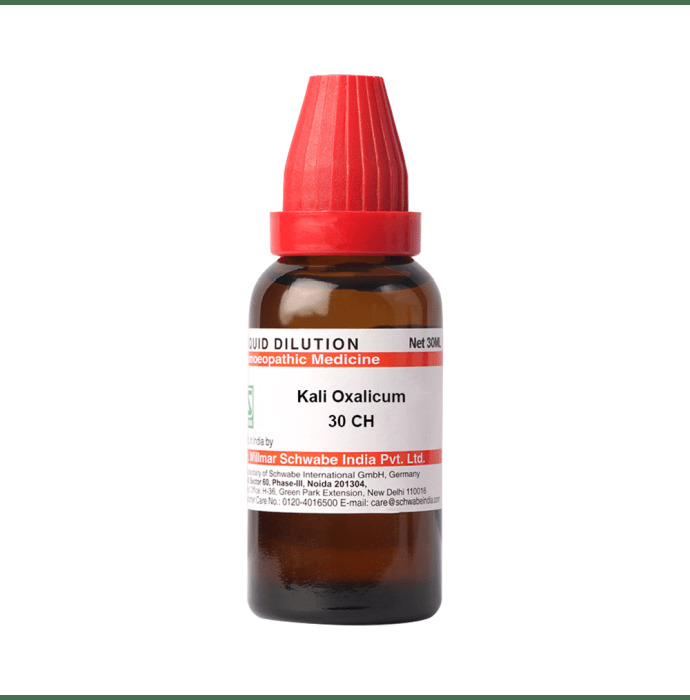 Dr Willmar Schwabe India Kali Oxalicum Dilution is a homoeopathy medicine that is beneficial in treating various health and skin ailments. It is also helpful in treating joint pains and also works like an elixir for a cough and cold. The medicine is also useful in treating numerous allergies. The amount of dose depends on the condition, sensitivity, age, sensitivity and much more. Recommended dose for daily usage is 3-5 drops as well as 2-3 times per day. In some cases, the physician recommends its dose as once in a week and even multiple months. Avoid any tough essence in the mouth which usually occurs by the consumption of garlic, camphor, onion, etc.